Institutional racism (IR) is reflected in the policies and practices of organizations, systems, and institutions that perpetuate discrimination and exploitation of people of color (POC; Clair & Denis, 2015). IR perpetrators potentially lack awareness of the impact of their actions while victims often question whether they have been treated unfairly (Ture & Hamilton, 1967). Although researchers have examined the impact of IR on undergraduate students (Ceja & Yasso, 2000), there has been less research and discourse around graduate students’ experiences with IR, even within our field of psychology. Presently, this is particularly relevant, as the current sociopolitical climate has been characterized by ongoing racial tensions, discrimination, and violence against POC. As psychology graduate students ourselves, the authors recognize the impact that IR has on POC within our institutions and the larger psychological discipline. Therefore, we explored the perspectives of our peers to raise awareness and inform initiatives to address IR within psychology graduate programs. This article, directly informed by the lived experiences of graduate students/trainees, will highlight the impact of IR on students’ education and lives, will relay their coping approaches, and will summarize their hopes for overcoming IR in higher education and the field of psychology, which aspires to multicultural sensitivity and social justice. In the service of providing an open venue for participants’ (and the authors’) voices, we took a qualitative and journalistic approach to gathering and reporting information. The authors devised a 10-question, semi-structured interview to capture participants’ experiences with, responses to, and beliefs about IR in their graduate institutions. A total of 21 interviews were completed via video, voice call, or email. All responses were reviewed by at least two authors and are summarized in the areas denoted below. Participants were predominantly women (81%) in the latter half of their program. Most were working on a doctoral degree (86%) and represented all four major regions of the U.S. Participants identified as Black (8), Asian (3), multiracial (2), White (2), biracial (1), Chinese American (1), African (1), Indian (1), and Middle Eastern (1). Three participants were international students. As issues of diversity have become a priority of accrediting bodies such as APA, academic institutions have increased discourse around this issue as it relates to both programmatic content and student body composition. However, a substantial proportion of participants described experiencing this shift as occurring more in theoretical conversations about multicultural awareness and sensitivity than in actual attitudes and actions of faculty and students. One participant described this experience as “lip service to diversity.” A few participants described how this manifests in coursework – a single course or brief series of courses dedicated to comparing and contrasting racial, ethnic, or other groups based on cultural identities. Other participants described their personal experience as the “token minority” within their program, which often forced them to assume an expert role on the experiences of POC in their courses and personal encounters. Participants described this “token” status as isolating and exhausting. Perhaps the most striking reports were the experiences of participants who actively sought out graduate institutions who emphasized the value of diversity within the student population, coursework, and training via their marketing materials and program pillars. Multiple participants reported accepting offers at their respective institutions for precisely this reason, only to discover the “lip service” phenomenon, and experience overwhelming disappointment at the lack of actual inclusivity, integrative coursework, and culturally-informed training. To this end, institutions must fulfill their marketing message, by practicing multiculturalism that is meaningful and supportive. It is not enough to extend an invitation to diverse students only to lead them into an atmosphere that stifles their ability to thrive and embrace their true selves. “They’re unwilling to name it” and “…they don’t want to be uncomfortable” were some of the blind spots participants identified at their institutions. Within their programs, intersecting systemic and individual differences hinder fruitful and reflective discussions that promote learning, awareness, and dismantling of IR. Programs fail to recognize how they are microcosms that reflect larger societal issues such as IR. Some of the obstacles participants discussed include systemic perpetuation of microaggressions and ignorance about the existence of IR within the (predominately White) student body and faculty. Participants’ comments included: “People are more concerned about individual well-being, status, and power than social justice for everyone,” “Some people don’t believe IR exists, don’t see it, they don’t want to take the time since it doesn’t affect them,” those regarding reinforcement of stereotypes (e.g., “a bunch of angry Black women”), and tolerance of color blindness (e.g., “self-preservation of White privilege within culture of faculty). The unfair reprimanding of students of color and unethically biased practices of faculty were also obstacles identified by the participants. Each participant provided meaningful insight into their approach to coping with IR throughout their graduate training. Three broad coping strategies were identified by most participants. The first was sharing emotional support with other students with similar experiences and problem solving to work toward change within their institutions. Of note, participants from small institutions reported having limited access to supportive others. Second, the majority of participants reported seeking support from outside their institutions – including family, friends, religious institutions, workplaces, etc. One participant described this as “balancing” programmatic stress (e.g., IR) with supportive connection outside of the program. Last, several participants described attempts –successful and unsuccessful – to address IR in their institutions. Participants described a range of responses to IR, which varied in degree of assertiveness and directiveness as well as based on the student’s expectations, the outlet/venue for addressing concerns, and the student’s status in the program. In order for programs to recognize opportunities to dismantle IR, experiential encounters are necessary. That is, participants emphasized the need for multicultural training that will dissect privilege, address marginalizing behavior and teachings about race/ethnicity, raise consciousness and humility, and challenge power struggles between students and faculty. Furthermore, students should be informed about their right to address IR and provided with relevant resources. This information cannot simply be part of a handbook, but should be an ongoing discussion that facilitates interpersonal and policy changes, creating an environment where all students and faculty of diverse backgrounds are welcome, respected, and visible. Multiple participants highlighted fear of experiencing negative consequences related to raising the issue of IR, and described awareness that faculty or others in power may also fear negative consequences for taking a stand. Along with students, faculty would benefit from appropriate modeling of how to address IR and become allies. Indeed, faculty of color need support in balancing their roles and identities within programs struggling to overcome IR. Additionally, experiential opportunities to learn about advocacy and activism while practicing these forms of social justice with different systems, communities, and educational spaces are paramount in order to fully address IR. With regard to the field of psychology, some participants emphasized the discipline has yet to develop testing norms and diagnostic criteria that are considerate of cultural factors, describing the current state of affairs as “culture is an afterthought.” Other participants shared that, when they have conducted research related to diversity and discrimination, they have not received program support and faculty have voiced doubt about the relevance of their work. With regard to the way graduate students relate to APA, one student commented they see APA and its divisions trying to be more “inclusive.” However, others voiced concern the organization remains far from the goal of active inclusivity. Some participants stated they have observed efforts to address IR at various conferences (e.g., APA, National Multicultural Conference and Summit) and commented on the benefit of having a forum to voice concerns and find solidarity. Looking to the future, many participants shared a troubling perspective that IR is an inevitable part of pursuing a graduate degree in psychology (e.g., “be prepared for disappointment”). However, many noted the path to change is to “acknowledge it and go forward anyway because it won’t change if I don’t.” More collectively, many participants discussed a need for a broader cultural shift within academia and society to make it possible for IR to be addressed. Participants also expressed concern about how race/ethnicity may interact with the next steps of the educational process (e.g., internship) to limit their success. This included frustration with being unable to indicate race and ethnicity on the APPIC application, begging the question, “How can there be Affirmative Action?” Others shared ongoing training difficulties such as training directors “basing expectations on skin tone and stereotypes,” limited support or guidance during a grievance process, and feeling “left alone to fend for myself.” One participant noted it is necessary to explore “alternative ways” of addressing IR and several participants shared they had created campus groups to give and receive support while challenging IR. Graduate school is inherently stressful and challenging; when the demands of coursework are coupled with stress due to IR, it creates a situation many participants described as overwhelming, exhausting, and draining, further perpetuating racial/ethnic disparities. During the process of developing and writing this article, we have had the chance to revisit our own identities – both those contributing to oppression and those providing power and privilege – and to reflect on ways we have seen and ways we may be blind to IR within our own institutions. One author, as an ethnic minority, experienced a sense of relating to many concerns participants consciously raised. Other authors, holding various minority identities, also resonated with the struggles described by the participants while at the same time recognizing the unique and painful consequences of racism and IR. Within the field of psychology, we strive to create a space for unheard and stifled voices. Within psychology graduate programs, we seek to foster this spirit, imparting knowledge and skills to inform and facilitate social justice and well-being for all. To have these values deemphasized, ignored, or even reprimanded is a deeply impactful form of insidious trauma. We were struck by consistent reports about lip service to diversity, surface level discourse and education on issues of racial/ethnic diversity, and tokenizing of minority students. It was our own experience and observation of these very aspects of IR that spurred us to reach out to others and to write this article. In sum, and most importantly, we want to express our sincere gratitude to the participants in this project for sharing their experiences and their messages. We are inspired by these students striving to overcome IR and thrive within their institutions, and to use their experiences to support, advocate, research, and serve marginalized people. We hope this article and, more directly, the experiences and hopes shared by the participants will inspire intentional reflection and, even more, active dismantling of IR through aligning practices with the cultural values of graduate programs and the field of psychology. Clair, M., & Denis, J. (2015). Sociology of racism. The International Encyclopedia of the Social and Behavioral Sciences, 2nd Edn. Oxford: Elsevier. Ture, K. & Hamilton, C.V. (1967). Black power: The politics of liberation in America. 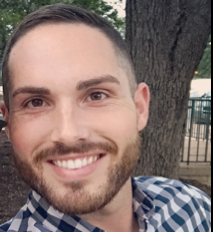 Wyatt R. Evans, PhD recently graduated from the clinical psychology program at Palo Alto University and completed his internship at the Michael E. DeBakey VAMC in Houston, TX in 2017. He is currently a postdoctoral fellow with the STRONG STAR Consortium to Alleviate PTSD in Fort Hood, TX. Wyatt recently transitioned from the TPN Student Subcommittee to join the editorial staff of TPN as the Editorial Assistant. 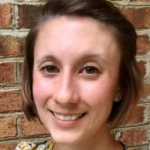 Anna W. Vandevender, MS, is a pre-doctoral intern at the VAMC Huntington. 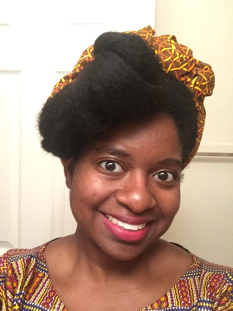 She attends the Radford University Counseling Psychology doctoral program and has served on the Division 56 TPN Student Subcommittee since 2015. 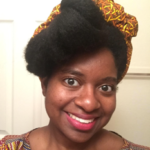 Elizabeth Louis, MA, is a rising 4th year doctoral candidate in the Counseling Psychology program at The University of Georgia. She experience engaging in disaster relief work and providing mental health awareness and training in Haiti. Her research interests include trauma, disaster mental health and ethnic minority mental health. She is currently preparing to serve as a Boren Fellow in Haiti for 10 months conducting research and engaging in volunteer work that is related to disaster mental health, trauma and prevention. 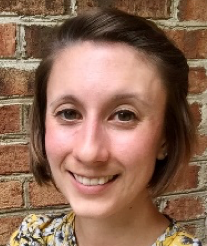 Elizabeth has been a member of the Trauma Psychology student publication committee for over a year. The authors would like to recognize all the members of the TPN Student Publication Subcommittee for their strong collaboration and support in developing this article.